Plants have been the major source of drugs in Indian system of medicine and other ancient systems in the world. Earliest description of curative properties of medicinal plants is found in Rig-Veda, Charaka Samhita and Sushrusha Samhita give extensive description on various medicinal herbs. Information on medicinal plants in India has been systematically organized. India has an ancient heritage of traditional medicine.The materia medica of India provides a great deal of information on the folklore practices and traditional aspects of therapeutically important natural products.Indian traditional medicines based on various systems including Ayurveda, Siddha, Unani and Homeopathy. Healing is the process by which the cells in the body regenerate and repair to reduce the size of a damaged or necrotic area. Healing incorporates both the removal of necrotic tissue (demolition), and the replacement of this tissue. Wound healing is a complex phenomenon that results in the restoration of disrupted anatomical continuity and disturbed functional status of the skin  accomplished by several processes which involve fibro genesis, neo-vascularization, wound contraction and epithelization  .The basic principle of optimal wound healing is to minimize tissue damage and provide adequate tissue perfusion and oxygenation, proper nutrition and moist wound healing environment to restore the . Herbal medicines have been the basis of Ayurveda, Unani and Siddha. One of the surveys conducted by the WHO reports that more than 80% of the world’s population still depends upon the traditional medicines for various diseases. In the developed countries 25 percent of the chronic wounds may even lead to multiple organ failure of death of the patients. Wounds are the physical injuries that result in an opening or breaking of the skin and appropriate method for healing of wounds is essential for the restoration of disrupted anatomical continuity and disturbed functional status of the skin [5-6]. Wounds are classified as open and closed wound on the underlying cause of wound creation and acute and chronic wounds on the basis of physiology of wound healing. In this case blood escapes the body and bleeding is clearly visible. It is further classified as: Incised wound, Laceration or tear wound, Abrasions or superficial wounds, Puncture wounds, Penetration wounds and gunshot wounds . In closed wounds blood escapes the circulatory system but remains in the body. It includes Contusion or bruises, heamatomas or blood tumor, Crush injury etc. Acute wound is a tissue injury that normally precedes through an orderly and timely reparative process that results in sustained restoration of anatomic and functional integrity. Acute wounds are usually caused by cuts or surgical incisions and complete the wound healing process within the expected time frame . Chronic wounds are wounds that have failed to progress through the normal stages of healing and therefore entera state of pathologic inflammation chronic wounds either require a prolonged time to heal or recur frequently. Local infection, hypoxia, trauma, foreign bodies and systemic problems such as diabetes mellitus, malnutrition, immunodeficiency or medications are the most frequent causes of chronic wounds [8, 9]. The inflammatory phase starts immediately after the injury that usually last between 24 and 48 hrs and may persist for up to 2 weeks in some cases the inflammatory phase launches the haemostatic mechanisms to immediately stop blood loss from the wound site. Clinically recognizable cardinal sign of inflammation, rubor, calor, tumor, dolor and function-laesa appear as the consequence. This phase is characterized by vasoconstriction and platelet aggregation to induce blood clotting and subsequently vasodilatation and phagocytosis to produce inflammation at the wound site . The second phase of wound healing is the fibroplastic phase that lasts upto 2 days to 3 weeks after the inflammatory phase. This phase comprises of three steps viz., granulation, contraction and epithelialisation. In the granulation step fibroblasts form a bed of collagen and new capillaries are produced. Fibroblast produces a variety of substances essential for wound repair including glycosaminoglycans and collagen. Under the step of contraction wound edges pull together to reduces the defects in the third step epithelial tissues are formed over the wound site . Proliferative Phase (2 days to 3 weeks) includes: Granulation stage: Fibroblasts lay bed of collagenFills defect and produces new capillariesContraction stage: Wound edges pull together to reduce defect. Epithelialization stage: Crosses moist surface cell travel about 3 cm from point of origin in all directions . than in horses, and significantly faster in body wounds than in metatarsal wounds. Histology showed that myofi-broblasts were more organized in the wounds of the ponies: the myofibroblasts in the newly formed granulation tissue were transformed into a regularly organized pattern within 2 weeks, in which the cells were orientated perpendicular to the vessels and parallel to the wound surface. This appears to be a more favorable condition for wound contraction to occur. In the horses, myofibroblast organization took much longer. No differences were found in the number of fibroblasts, the amounts of smooth muscle actin and collagen. Further research was performed to investigate whether the differences in wound contraction between horses and ponies were caused by differences in the inherent contraction capacity of fibroblasts or the local environment of the fibroblasts. It was found that no differences existed in the inherent contraction capacity of fibroblasts from ponies and horses in vitro. However, the level of Transforming Growth Factor , the most important instigator of wound contraction, was significantly higher in the granulation tissue of pony wounds compared with horse wounds. This phase last for 3 weeks to 2 years. New collagen is formed in this phase. Tissue tensile strength is increased due to intermolecular cross-linking of collagen via vitamin-C dependent hydroxylation. The scar flattens and scar tissues become 80% as strong as the original [19, 20]. The wound healing activities of plants have since been explored in folklore. Many Ayurvedic herbal plants have a very important role in the process of wound healing. Plants are more potent healers because they promote the repair mechanisms in the natural way. Extensive research has been carried out in the area of wound healing management through medicinal plants. Herbal medicines in wound management involve disinfection, debridement and providing a moist environment to encourage the establishment of the suitable environment for natural healing process . Hindi – Global, Kasha, Kala Umbar, Katgularia & Phalgu. Sanskrit- Kakodumbarika, Malayuhu, Phalgu & Phanika. Photograph of the Ficus hispida Linn. PLANT DESCRIPTION: A moderate sized tree grows up to 5 meters in height. Leaves opposite, long, with scrubby surfaces, pubescent; receptacles fascicled in the stem, obovoid, hispid, and green turns yellow when ripe. Distribution: Throughout India growing wild in evergreen forests and waste lands. Ghosh R et al., Hypoglycemic activity of ficus hispida (bark) in normal and diabetic albino rats. Indian J Pharmacol 2004; 36: 222-225. Shanmugarajan TS, et al., Cardioprotective effect of ficus hispida linn: On cyclophosphamide provoked oxidative myocardial injury in a rat model. Int J Pharmacol 2008; 1:1-10. Sivaraman D et al., Sedative and anticonvulsant activities of the methanol leaf extract of ficus hispida linn. Drug Invent Today 2009; 1: 23-27. Huong VN et al., A strong anticancer agent isolated from the leaves of Ficus hispida L. Tap Chi Hoa Hoc 2006; 44: 345-9. 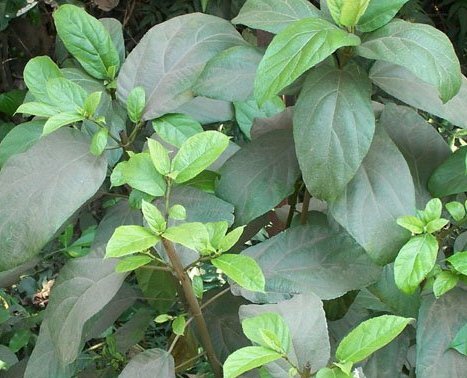 Vishnoi SP et al., Evaluation of anti-inflammatory activity of leaf extracts of Ficus hispida. Indian J Nat Prod 2004; 20: 27-9. Mandal SC et al., Studies on antidiarrhoeal activity of ficus hispida. Leaf extract in rats. Fitoterapia 2002; 73: 663-667. 3. Fabricant DS, Farnsworth NR, The value of plants used in traditional medicine for drug discovery, Environ Health Pers, 109 (Suppl 1), 2001, 69-75. 4. Priya KS, Gnanamani A, Radhakrishnan N, Babu, Healing potential of Datura alba on burn wounds in albino rats, J. Ethnopharmacol., 83, 2002, 193-199. 5. Steenkamp V, Mathivha E, Gouws MC, Rensburg CEJ, Studies on antibacterial, antioxidant and fibroblast growth stimulation of wound healing remedies from South Afr. J. Ethnopharmacol., 95, 2004, 353–357. 7. Strodtbeck F, Physiology of wound healing, Newborn InfantNurs. Rev, 1, 2001, 43-45. 8. Kumar B, Vinaykumar M, Govindarajan R, Pushpangadan P, Ethanopharmacological approaches to wound healingexploring medicinal plants of India, J.Ethanopharmacol., 114, 2007, 103-113. 12. Dr. Tamara et al. 2008, 12 book of pathophysiology basis for phase of wound healing. 13. Romanian Biotechnological Letters Copyright © 2008 Bucharest University. . Romanian Society of Biological Sciences Vol. 14, No. 4, 2009, pp. 4597-4605 Printed in Romania. All rights reserved. 19. Madden JW, Peacock EE, Studies on the biology of collagen during wound healing. I. Rate of collagen synthesis and deposition in cutaneous wounds of the rat, Surgery, 64, 1968, 288-294. 20. Prockop DJ, Kivirikko KI, Tuderman L, Guzman NA, The biosynthesis of collagen and its disorders, N.Engl. J. Med.,301, 1979, 13-23. 21. Purna SK, Babu M, Collagen based dressings/a review. Burns 26, 2000, 54-62.
of Economic and Taxonomic Botany 23, 473–498. skin diseases and related problems in Northeastern India, Journal of Herbs. of coastal Karnataka. Ethnobotany 14, 1–12. North Gujarat. Ancient Science of Life 21, 268–280. 29. Sarma, S.K., Bhattacharya, B.K., Devi, B., 2002. Traditional use of herbal medicine by Modahi tribe of Nalabari district of Assam. Ethnobotany 14, 103–111. 32. Kirtikar KR, Basu BD. Indian Medicinal Plants. Periodical Experts, New Delhi, 1975; 2: 2338. 33. Ghosh R et al., Hypoglycemic activity of ficus hispida (bark) in normal and diabetic albino rats. Indian J Pharmacol 2004; 36: 222-225. 34. Shanmugarajan TS, et al., Cardioprotective effect of ficus hispida linn: On cyclophosphamide provoked oxidative myocardial injury in a rat model. Int J Pharmacol 2008; 1:1-10. 35. Sivaraman D et al., Sedative and anticonvulsant activities of the methanol leaf extract of ficus hispida linn. Drug Invent Today 2009; 1: 23-27. 36. Huong VN et al., A strong anticancer agent isolated from the leaves of Ficus hispida L. Tap Chi Hoa Hoc 2006; 44: 345-9. 37. Vishnoi SP et al., Evaluation of anti-inflammatory activity of leaf extracts of Ficus hispida. Indian J Nat Prod 2004; 20: 27-9. 38. Mandal SC et al., Studies on antidiarrhoeal activity of ficus hispida. Leaf extract in rats. Fitoterapia 2002; 73: 663-667. Imperforate hymen is an extreme manifestation of hymenal variation occurring in as less as 0.0014 to 0.1% of infants girls. Female infants with imperforate hymen rarely present with urological complications. 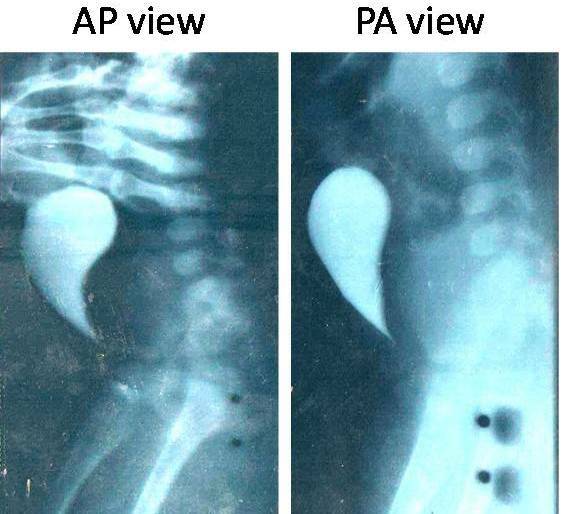 We would like to present an unusual case of urinary incontinence with hydroureter and hydronephrosis in a 7 month old female child due to a large mucocolpos. This infant was successfully treated surgically. A mother presented to the Uro-Gynaecology Outpatient department with her 7 month old daughter having complaints of urinary incontinence with dribbling of urine and mass in lower abdomen since last 15-20 days. On examination there was a large cystic mass in the hypogastrium which was extending upto the umbilicus. The lower end of masscould not be reached suggesting that it was arising from the pelvis. Ultrasonography showed a large cystic mass arising from the pelvis with a distended urinary bladder, hydroureter and hydronephrosis. (Fig 1). Differential diagnosis of bladder diverticulum, mesenteric cyst, a tuboovarian mass,or an ovarian cyst was made. 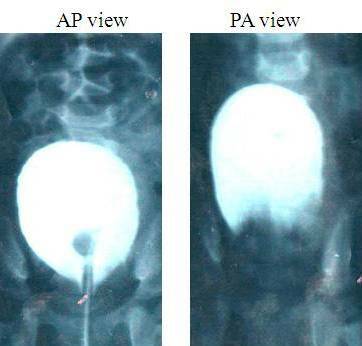 Cystourethrogram was performed which showed a distended urinary bladder displaced anteriorly due to some mass behind it(Fig 2,3). Detailed gynecological examination was done under anaesthesia which revealed a bulging IMPERFORATE HYMEN. It was incised by a cruciate incision and ~1500 ml of straw coloured fluid was drained out. Ambroise Pare first described Imperforate hymen in 1633.1 Most distal form of vaginal outflow obstruction is called “imperforate hymen”. During normal embryological development, the central portion of the hymenal membrane disappears, creating the hymenal opening at the level of the vaginal vestibule. (Fig 4). Persistance of the intact hymenal membrance results in the condition of imperforate hymen. The imperforate hymen is a solid membrane interposed between the proximal uterovaginal tract and the introitus. This vertical fusion defect from other vertical fusion defects in that it is not derived from the mullerian system. This vaginal oulet obstruction leads to entrapment of vaginal and uterine secrection above it forming a cystic collection in the pelvis. Large mucocolpos can cause urethral compression anteriorly leading to bladder outflow obstruction,urinary retention with urnary tract infection, hydroureter and hydronephrosis. Most neonates with imperforate hymen are missed at birth, delaying the diagnosis sometimes upto early adolescence when they present with hematometrocolpos. Imperforate hymen may also present with back pain ,urinary retention (37%- 60% of patients ), and constipation.2 Physical examination may reveal a lower abdominal mass on plapation, or a pelvis mass on bimanual rectal examination. The diagnosis of imperforate hymen is often established during examination when a distended bluish membrane is observed at the introitus. In the absence of this finding, only imaging study by ultrasound or MRI can establish the level of obstruction. The differential diagnoses of uterovaginal obstruction include disorders of vaginal development, such as a transverse vaginal septum or complete vaginal agenesis.which may be associated with other development anomalies(e.g, Rokitansky- Kuster-Maier-Hauersysdrome). Careful evaluation of the perineum of the newborn is essential. Female neonate has full labia majora under the influence of maternal estrogens. Inspection of the introitus reveals that hymenal membrane is pink and slightly edematous. In the newborn with an imperforate hymen, the membrane is often bulging because of retained mucoid secretions. A vaginal cyst which fills the introitus but is attatched only to one vaginal aspect should be distinguished from imperforate hymen. Wall EM, Stone B, Klein BL. Imperforate hymen: a not-so-hidden diagnosis. Am J Emerg Med. May 2003;21(3):249-50. Nazir Z, Rizvi RM, Qureshi RN, Khan ZS, Khan Z. Congenital vaginal obstructions: varied presentation and outcome. Pediatr Surg Int. Sep 2006;22(9):749-53. Winderl LM, Silverman RK. Prenatal diagnosis of congenital imperforate hymen. Obstet Gynecol. May 1995;85(5 Pt 2):857-60. Ogunyemi D. Prenatal sonographic diagnosis of bladder outlet obstruction caused by a ureterocele associated with hydrocolpos and imperforate hymen. Am J Perinatol. 2001;18(1):15-21. El-Messidi A, Fleming NA. Congenital imperforate hymen and its life-threatening consequences in the neonatal period. J Pediatr Adolesc Gynecol. Apr 2006;19(2):99-103. Ahmed S, Morris LL, Atkinson E. Distal mucocolpos and proximal hematocolpos secondary to concurrent imperforate hymen and transverse vaginal septum. J Pediatr Surg. Oct 1999;34(10):1555-6. 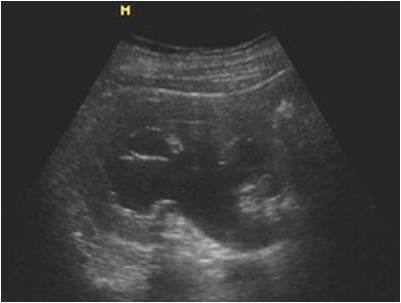 Fig 3: Cystourethrogram showing a distended urinary bladder extending upto the ribcage of the baby. M.S(Obgyn),D.N.B, D.G.O,F.C.P.S,D.F.P, Assistant Professor . Phone: (+91) 217- 2324762 (home), (+91) 9745306852 [Mobile]. From hearing loss to foot numbness, the complications that result from type 2 diabetes vary as much as the patients. Whether you are a man or a woman, Caucasian or African-American, there are subtle differences in the way the disease progresses. Type 2 diabetes is known to quietly attack various groups of people in slightly different ways. Eye complications – Type 2 patients are more at risk for developing glaucoma, cataracts and retina dysfunction. Heart disease – This very real risk is especially prevalent in men with diabetes. Type 2 patients are also at a higher risk for a stroke. Mental health problems – Many patients go through stages of anger, denial and depression, especially when initially diagnosed. Skin disorders – Having diabetes puts patients at an increased risk of getting bacterial and fungal infections, as well as other diabetes-related skin conditions. Sexual dysfunction – Men with diabetes are more likely to suffer from erectile dysfunction and low testosterone. Foot problems – Also called neuropathy, diabetic nerve damage can lessen the ability to feel pain, cold or heat. Neuropathy causes poor blood flow. From the list, it’s easy to see why it is so important for type 2 patients to be vigilant about their health care. At the initial diagnosis, most doctors will recommend a strict diet, a steady exercise regime and medication to stabilize insulin levels. While a new diet and exercise routine might be difficult to establish, the medication aspect of the process could prove to be even more challenging. That’s because of the lingering safety questions surrounding the most popular type 2 diabetes drug, Actos. Also known as pioglitazone, Actos has been linked to a variety of life threatening side effects, including congestive heart failure and bladder cancer. The drug is known to cause edema, or swelling, which increases the risk for heart failure. Worse yet, recent studies show that those taking the drug for longer than two years have a more than 80 percent chance of developing bladder cancer. It seems that this drug puts already compromised bodily functions at risk for even more damage. In fact, many users of this medication have filed an Actos lawsuit against the drug manufacturer, Takeda. Today, many doctors are steering their patients to more trusted medications, such as metformin, as a means to control blood sugar levels. Many feel that the risks that Actos presents are far too great for patients who are already struggling with a life-threatening disease. Abeezar Sarela specialises in surgery for diseases of the oesophagus and stomach (often referred to as Upper Gastrointestinal Surgery or Upper GI Surgery or Foregut Surgery). There are three areas of sub-specialisation in this area: (1) surgery for obesity & related diseases such as diabetes (Bariatric & Metabolic Surgery);(2) surgery for cancer of the oesophagus and stomach (Surgical Oncology) & (3) surgery for benign disorders, such as gastro-oesophageal reflux disease, hiatus hernia, achalasia cardia and gastroparesis. Hydrolabour is defined as the use of water during the active phase of first stage of labour. Hydrobirth entails the actual delivery of the baby that is the second and third stage of labour in the pool of warm water. The equipment used is a disposable inflatable tub about 5 and ½ feet in diameter and two feet tall. The water is maintained at a constant 37* Celsius i.e body temperature which is warm to hot. Monitoring of labour for both patient & baby is just as we do in routine labours. Patients are admitted early in labour and essentially the entire process of labour remains the same. Due consent is taken for the use of water in labour and delivery. The patient enters the pool of water in the active phase and labours and delivers there. The baby is born active and calm as the mother holds and brings it out of water after a few seconds of adaptation. The cord is now cut and respiration is established. Placenta delivery may take place in the pool or after shifting the patient out. Episiotomy can be given underwater with local anaesthesia. The average duration of second stage is shorter and the incidence of instrumentation is lower in patients undergoing Hydrobirth. None of our patients has had any significant 3rd stage complications. There is absolutely no difference in the neonatal condition at birth or the incidence of neonates requiring resuscitation or other assistance. The baby will aspirate water or drown . There is no attempt to breathe till the cord is cut or exposure to air occurs. Infection risk to the mother. Theoretical- never reported in the last 50 yrs. Infection risk to the baby . Almost all babies are bathed in most hospitals after birth. We use the same water for our Hydrobirths. Hygiene? Disposable equipment available for each patient. 60% of our body is water!!! Water is the essence of life – natural & pure. Water is a muscle relaxant it rejuvenates and refreshes. Water increases blood supply to the uterus – takes away toxic local hormones. Water makes labour more efficient … more progress with lesser number of contractions. Gives buoyancy and makes you weightless. Results in shorter and less painful labours –without increasing the risk to mother and baby in any way. In water stress hormones are reduced and pain relieving chemicals or endorphins are released in excess. Also the shock of sudden lights sound and other sensory stimuli to the baby is reduced if the baby goes from water to water to air rather than from water to air directly and these babies are reported to be more balanced and stable individuals who have better adaptive capabilities as adults later on in life. 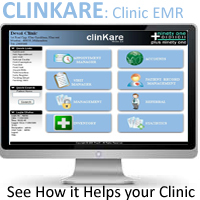 The subjective reporting of pain relief has us completely stunned and very enthused about what we have seen. We did not use any drugs or medication to hasten or accelerate these labours which is an important concept of natural birthing. Water is a muscle relaxant – it aids the passage of the baby through the birth canal. Causes weightlessness- overcomes gravity- allows the mother relief and comfort. Cochrane Review : Of more than 40,000 Waterbirths worldwide. No directly attributable fatality and No specific risk above Normal deliveries. British Medical Journal 1999 : Dr. Gilbert et al. 4032 Waterbirths – Perinatal Mortality 1.2 / 1000 live births. Lower than normal Deliveries. Dr. Rajeev Punjabi: Dr. Rajeev V Punjabi started his Practice in 2000, and spent 4 years performing Sonography in Obst. & Gynaecology, besides working as a Gynaecologist in Mumbai. In July 2003, he joined hands with his colleague from LTMMC, Sion Hospital, Mumbai and long time friend Dr.Sheetal J Sabharwal to start Tulip Women’s Healthcare Centre in Khar(W), Mumbai, India. In October 2003, he performed Mumbai’s First and one of India’s first documented and reported Underwater Deliveries – Hydrobirth successfully. He continues to promote the use of Water in labour and delivery ( Waterbirth ) with great enthusiasm. Enter your email address to Subscribe to Indian Health Journal and receive notifications of new articles by email. Blog contents express the viewpoints of their independent authors and are not reviewed for correctness or accuracy by Plus91 Technologies or Indian Health Journal. Any opinions, comments, solutions or other commentary expressed by blog authors are not endorsed or recommended by Plus91 Technologies or Indian Health Journal. 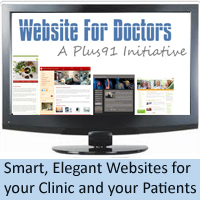 If you feel a blog entry is inappropriate, notify Plus91 Technologies or Indian Health Journal by email.